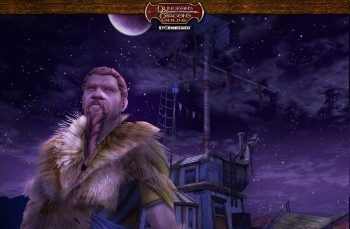 Dungeons & Dragons Online Executive Producer Fernando Paiz says the decision to switch the game to a free-to-play model is working out well and that Turbine is "very happy" with the decision. Turbine announced in June that its D&D-based MMOG would switch to a free-to-play model later this year. Known as Dungeons & Dragons Online: Eberron Unlimited, the game would do away with subscription requirements and instead focus on user-controlled micropayments for everything ranging from inventory items to "adventure packs," character customization and more. The revamped game opened to the public in early September and according to Paiz, things are going swimmingly. "We're hitting and exceeding our internal targets, so far we're very happy," he said in an interview with Ars Technica. "All aspects of our business are growing. Hundreds of thousands of new players in the world are playing for free, with a very high percentage using the store." Interestingly, subscriptions for the game (which remain available for fans who wanted unrestricted access to every part of the game) have apparently gone up 40 percent since it went free. It's obviously counter-intuitive but Paiz explained that gamers are more likely to spend their money when they're allowed to do so on their own terms. "They get to try the game, not be constrained by a one-week trial, and then decide when they've made the commitment that they're engaged enough that they're ready to spend money," he said. "As you advance, more of the content is for purchase more than it's free. Not that there won't be free content in the higher levels... but still, if you're into the game and you're playing past level five or six, you're going to really start thinking about buying content packs, or saving up Turbine points to buy content packs." Giving players that degree of control has other benefits for Turbine as well; because the game is free, it's easier for players to entice their friends into joining them online, while the elimination of the monthly subscription opens the door for players to actually spend more on the game. "We have a good chunk of the population that is spending more than $15 a month. The traditional subscription model can only make X dollars off a player. This kind of removes that cap," Paiz said. Micropayments appear to be growing increasingly attractive to MMOG developers in North America and a successful rebirth of DDO Unlimited will almost certainly result in more studios considering a similar option for their own games. I don't know how it will hold up in the long term, especially as the free-to-play field becomes more and more crowded, but I do know this: I'll be trying it for myself in very short order.